We love birthdays at Confined Escape Rooms! What better way to celebrate your big day than escaping with your favourite people! 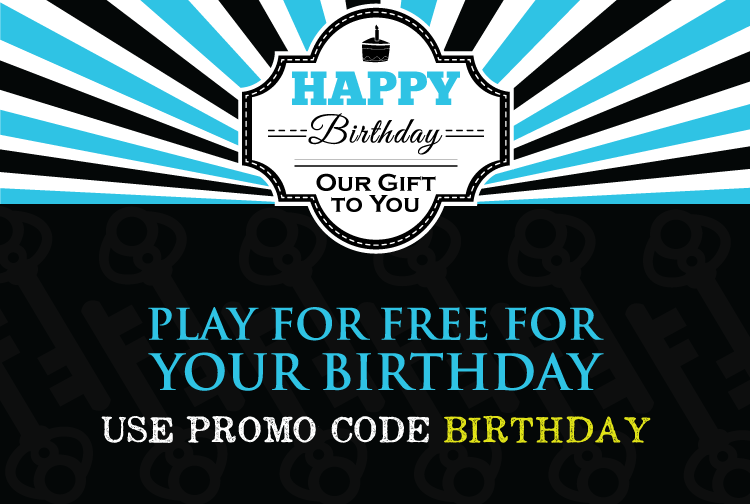 Book an escape room with us for your birthday and you play for free. * Valid for one person, for one booking. Proof of birthday required upon arrival. Birthday must be with-in one week of booking.